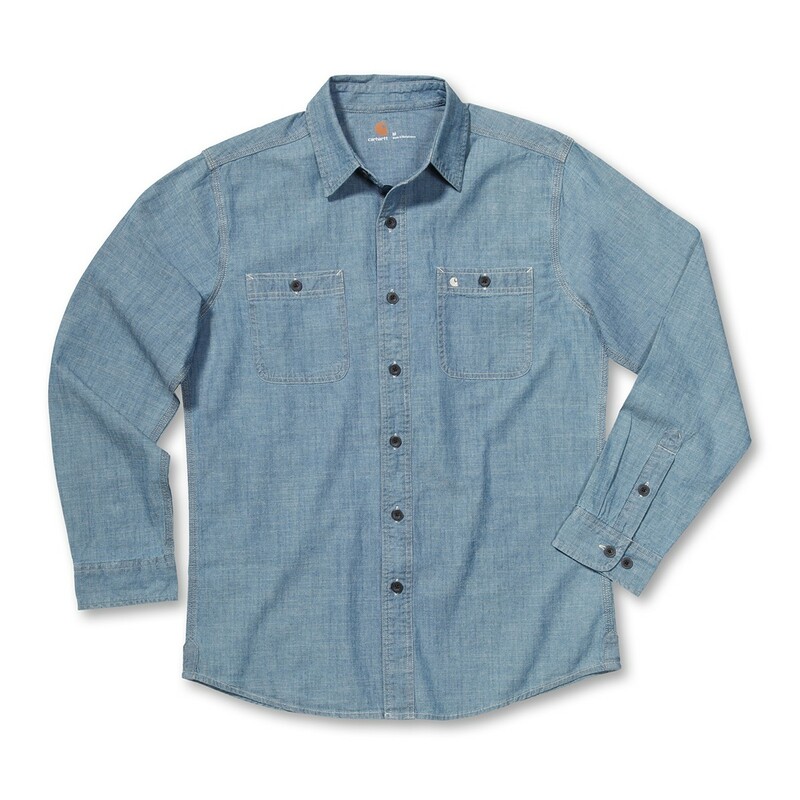 The Carhartt Linwood Solid Slim Shirt is made from 5oz/170g 100% Cotton Chambray. It has a spread collar with button closure and a heat seal transfer at the back of neck. 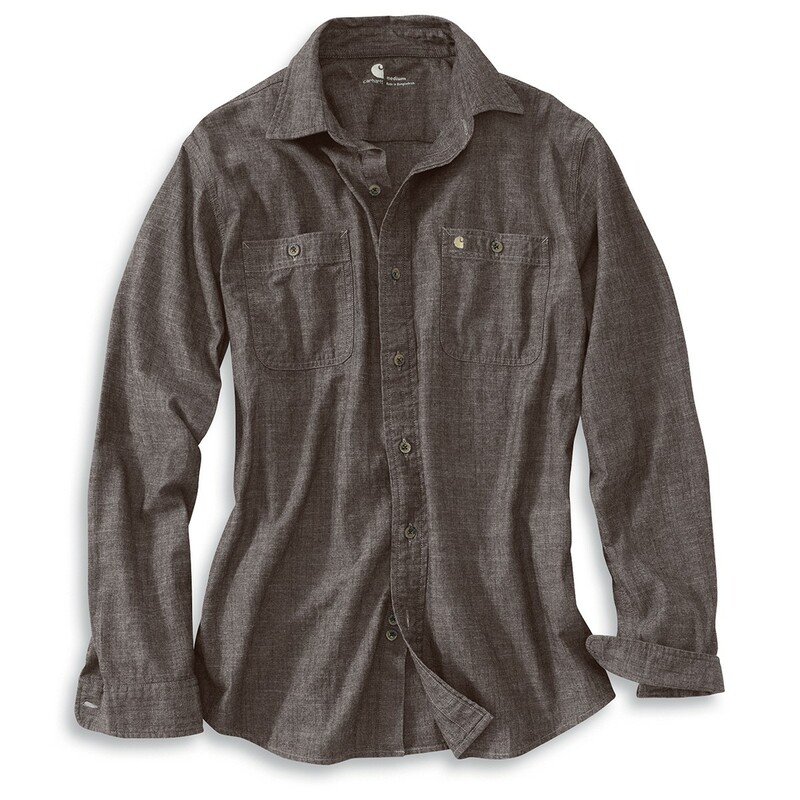 It has two chest pockets with button closures and the Carhartt logo embroidered on the pocket. It has a modified shirt tail bottom and is triple needle stitched at the main seams. Carhartt garments are generously sized so you may wish to drop down from your regular size when ordering.